Remember the Mazda Miata? The exotic and curvy RT24-p might be a Mazda, but it is no Miata. Still, the carmaker designed and built the machine with the intent of retaining the brand and translating the magic of the new racer to its consumer base. 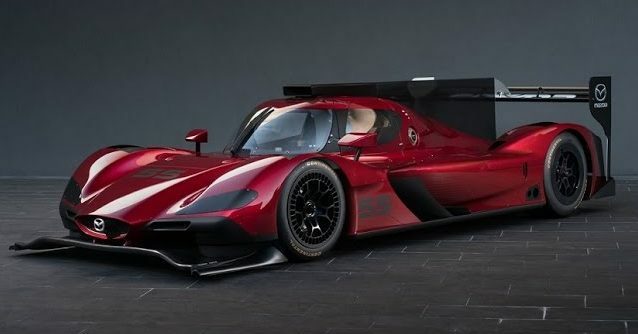 That’s right: Mazda did the bodywork and drive train for the RT24-P, which is set to compete under Daytona Prototype International rules, or DPi. And to put it even closer to the common car, the RT24 gets its name from Mazda’s Road to 24 driver development program. According to a Mazda press release, the car is scheduled to compete at the WeatherTech SportsCar Championship. “After significant on-track testing, it will make its racing debut at the 2017 Rolex 24 at Daytona in late January,” the company stated in the release. “KODO design is at the heart of any vehicle that carries a Mazda badge, and that is very evident in the design of the 2017 Prototype,” said Ken Saward, senior manager of Design at Mazda Design Americas, in the press release. Well, KODO or no KODO, we have to agree the new racer brings an elegance and a sense of power to the track. It will be interesting to see how the car performs in January.